So you have the flooring of your dreams at a price to put a smile on your face and you want a professional to install it. Once you have ordered your carpet, we will arrange with you a convenient time and supply a fitter who is friendly, clean, and honest to install your flooring for you. 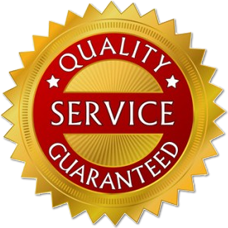 The fitter will have been trained to a very high standard, so you can trust in there ability to provide a quality finish. As soon as the installation process is complete, they will bag up any excess waste and make sure the area is clean and tidy before your inspection. Once you are happy, all you have to do is pay the installer, leaving you to get on with your day. If you have issues with doors needing cutting, furniture moving or old carpets that you are unable to uplift and dispose of then this for us is not a problem. At Choice Carpets we have had many years experience so we will do all we can to make your life easy and trouble free! Not all floors are flat, if this is the case then we will do our best to rectify the problem. Regardless if it's a wood floor or a concrete surface we can undertake leveling with either hardboard or ply if wooden or leveling screed if the surface is concrete. Did you choose a company in the past which was not up to the job? or did you take up your carpet to run cables under it and now its a bit lose? Don't panic, give us a call and we will visit to see whether or not something can be done about it. Just a quick call to us and we can restretch the carpet to get it back nice and tight again! Poorly fitted carpets can not only be a health and safety issue but will also wear a lot quicker than the manufactures guarantee.